In preparation for the actual formation (novitiate), and after the introduction, postulancy starts. During this period, which can take up to two years, candidates learn more about the Congregation of the Brothers of Charity. Also in that time, the Congregation decides whether a candidate is up to the apostolic tasks that await him. 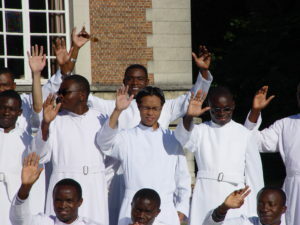 The final six months of postulancy candidates spend in a continental international novitiate – in Africa, Asia, or America – where they study English and prepare for the novitiate training. After that, candidates may begin the novitiate. The first 12 months they spend in a continental international novitiate. For Africa, this is in Kenya, for Asia, in the Philippines, and for America, in Peru. Candidates from Europe enter one of these novitiates. Novices will explore the religious life and get to know the charism of the Congregation even better. Then, there is a six-month period during which novices complete a pastoral internship in one of the Congregation’s apostolates. It is important that novices learn to find the right balance between prayer life, community life, and apostolic activity. For the final 6 months of the novitiate, novices return to the international novitiate. During this time, novices will be further initiated into the apostolic activities of the Congregation and the past period is thoroughly evaluated. 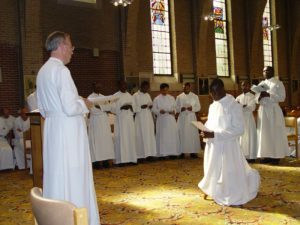 Also, novices prepare for the first profession or the taking of the religious vows. The first profession, by which they join the Congregation for one year, concludes the novitiate training. The young brothers then return to their home countries. Following the first profession, brothers will get acquainted with the concrete reality of their own regions. For that purpose, they will have a first experience of community life and of commitment to the poor through a specific apostolate. Also, the brothers’ options for continued formation and training will be examined in consultation with the superiors. Training will be primarily professionally oriented in line with the Congregation’s apostolic works. 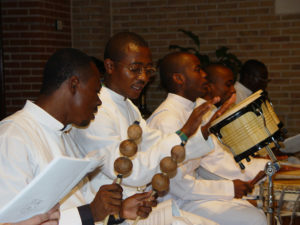 Brothers train to be nurses, educators, teachers, psychologists, social workers, physicians… Formation and training of brothers has always been a key priority for the Congregation of the Brothers of Charity. They study at local universities and stay in scholasticates or houses of formation together with other brother students. During that period, they will also focus on their further religious formation. 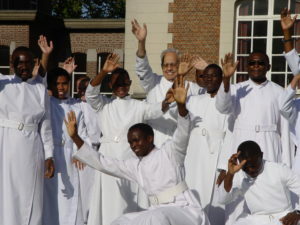 For specific courses, organized by the Congregation, brothers may also be sent to Belgium where they can take classes at the International Institute Canon Triest. Brothers renew their profession for two years and, again, for three years. After six years of temporary vows, they are ready to commit their lives to God by the perpetual profession. At that time, the continued professional training has usually been completed and brothers can fully dedicated themselves to the apostolate of the Congregation at the service of the poor.